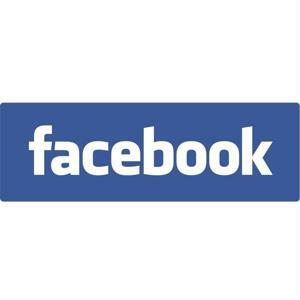 It seems nearly everyone, from individual users to businesses and beyond, have a Facebook page. People and organizations utilize the platform for everything from promoting a new event or product to simply sharing their daily thoughts or pictures. As the website's storage and processing capacities increase, Facebook must provide more support in the form of data center facilities. As the company adds more structures to its footprint, operators become well versed in best practices for data centers. This has led to several industry innovations, as the company continually reworks and improves these facilities. Facebook established an industry milestone within the data center industry when it created the Open Compute Project in 2011. According to Venture Beat, the resource, which publishes custom data center and equipment design documents, has seen rising interest as more organizations realize the benefits it can offer and sign on as partners. Through the use of systems and hardware arrangements introduced by Facebook and other businesses on the Open Compute Project, data center operators have been able to save a considerable amount in their energy consumption. "Over the last year, we've saved the equivalent of the energy of 40,000 homes in a year and saved an amount of emissions equivalent to taking 50,000 cars off the road for a year," Facebook chief executive Mark Zuckerberg told Venture Beat. "If we can help being those kinds of savings and that kind of efficiency to other companies as well, then that's great. We're really proud of that." Facebook's data center innovations don't stop with the Open Compute Project. Wall Street Journal contributor Rachael King recently reported that by redesigning its data centers over the past three years, the social media giant was able to save $1.2 billion. King said the redesign efforts began nearly four years ago, after Facebook opened its Prineville, Ore. data center. Jay Parikh, Facebook vice president of infrastructure, told the source that operating costs were steadily increasing at the site, sparking the need to improve efficiencies wherever possible. The bulk of these savings came from rearranging and condensing hardware equipment for streamlined, faster processing. In addition to reworking its hardware systems, Facebook has also been a front runner in cooling system innovations, according to Data Center Knowledge contributor Rich Miller. The company continually refines its cooling designs to optimize system efficiency. One such innovation is the company's unique heat and humidity removal technology at its North Carolina data center. Miller noted that the facility has a misting system that features small nozzles on water pipes that fill the air pathway with a fine mist. This effectively cools the air and eliminates excess humidity that can cause servers to overheat. A second North Carolina data center utilizes an evaporative cooling system including adiabatic media, which functions by dampening warm air entering the component. As innovative cooling systems continue to be employed in today's data centers, operators should deploy a temperature monitoring system to ensure that excess heat is being eliminated effectively. The technology can boost server uptime by maintaining the target data room temperature zone.